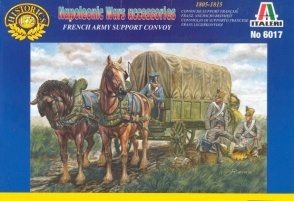 6017Napoleonic Wars Accessories. Released 2000. 9 figures, 4 horses and 1 wagon - unpainted plastic figures. 5 different Poses. Material Plastic.